I bought this lipstick because I have been dying to buy a wine-hued red and deep purple lipstick for a long time and I've also always wanted to own a Topshop Lipstick! This colour is perfect for the autumn/winter, I definitely recommend this shade! 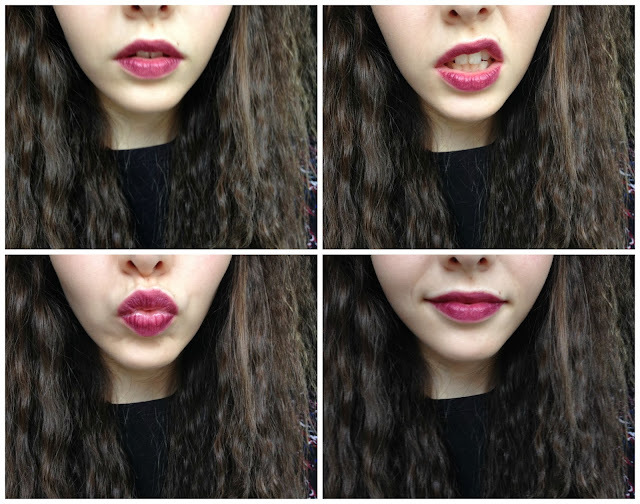 The lipstick is quite pigmented, matte and gives a strong, bold colour on the lips. I found it was easy to apply and lasted for hours, I didn't have to re-apply. If your looking for a dark, berry shade for this season, I think this one is complete! Have you tried any other Topshop Make-Up Products before? Do you suggest any of them? 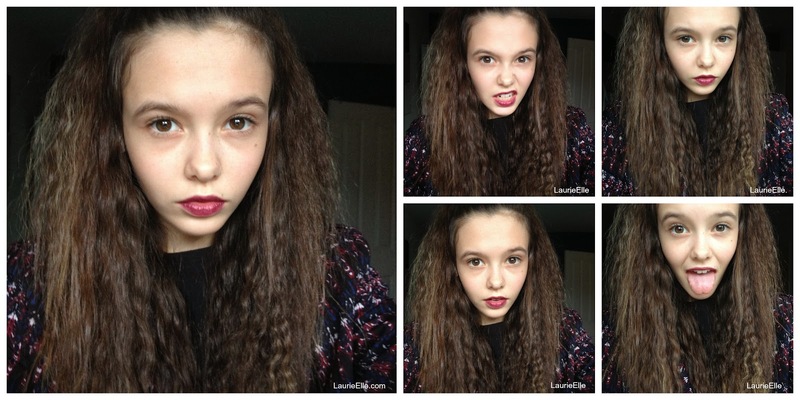 Topshop lipsticks are great! I have one in this colour from last year called 'wicked' I love it! This colour looks lovely on you babes! This is really lovely Laurie - fab for A/W. I really want to try some Topshop lipsticks but I always forget to go in and look!! Loving this colour on you! Perfect for winter! definitely think I might have to be a little braver with my lip choices now becuase that colour looks great on you! Wow! You are stunning I don't know what else to stay I literally just teared up because of how stunning you are omg wow!